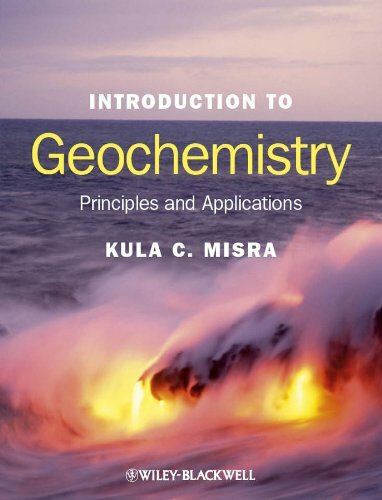 This book is intended to serve as a text for an introductory course in geochemistry for undergraduate/graduate students with at least an elementary–level background in earth sciences, chemistry, and mathematics. The text, containing 83 tables and 181 figures, covers a wide variety of topics — ranging from atomic structure to chemical and isotopic equilibria to modern biogeochemical cycles — which are divided into four interrelated parts: Crystal Chemistry. Chemical Reactions (and biochemical reactions involving bacteria). Isotope Geochemistry (radiogenic and stable isotopes). and The Earth Supersystem, which includes discussions pertinent to the evolution of the solid Earth, the atmosphere, and the hydrosphere. In keeping with the modern trend in the field of geochemistry, the book emphasizes computational techniques by developing appropriate mathematical relations, solving a variety of problems to illustrate application of the mathematical relations, and leaving a set of questions at the end of each chapter to be solved by students. However, so as not to interrupt the flow of the text, involved chemical concepts and mathematical derivations are separated in the form of boxes. Supplementary materials are packaged into ten appendixes that include a standard–state (298.15 K, 1 bar) thermodynamic data table and a listing of answers to selected chapter–end questions. Additional resources for this book can be found at: www.wiley.com/go/misra/geochemistry.